On the episode, you’ll hear us talk about some pivotal moments in Gould’s young life that led her to founding the company, like her experience in a clinical outpatient program which did ultimately help her overcome an eating disorder, but still left her feeling lonely and unseen. “I know it’s because I didn’t have that person back then who could really look me in the eye and be like, ‘I see you,'” Gould told me during our chat. We also talked about just how relatable the idea of the “inner babe” is. At first, Gould imagined working solely with girls who fell into the age and demographic from where she drew on her own personal experiences to create the brand and the program. But she quickly learned that this type of coaching program could help women of any age and at any stage in their lives. So when she talked about where Your Inner Babe is headed, her big, scary goal to say aloud (which actually doesn’t scare her at all, as you’ll hear in the episode) is to reach as many women as possible. In fact, she practices a type of journaling activity that involves writing her own future biography. She’ll write her future accomplishments in the present tense and in the third person, as though someone else was already writing about the big things she’s done. In this way, Gould is quite literally shaping her own narrative and laying the groundwork for her own success. Gould works with women anywhere, Chicago local or by FaceTime around the country. 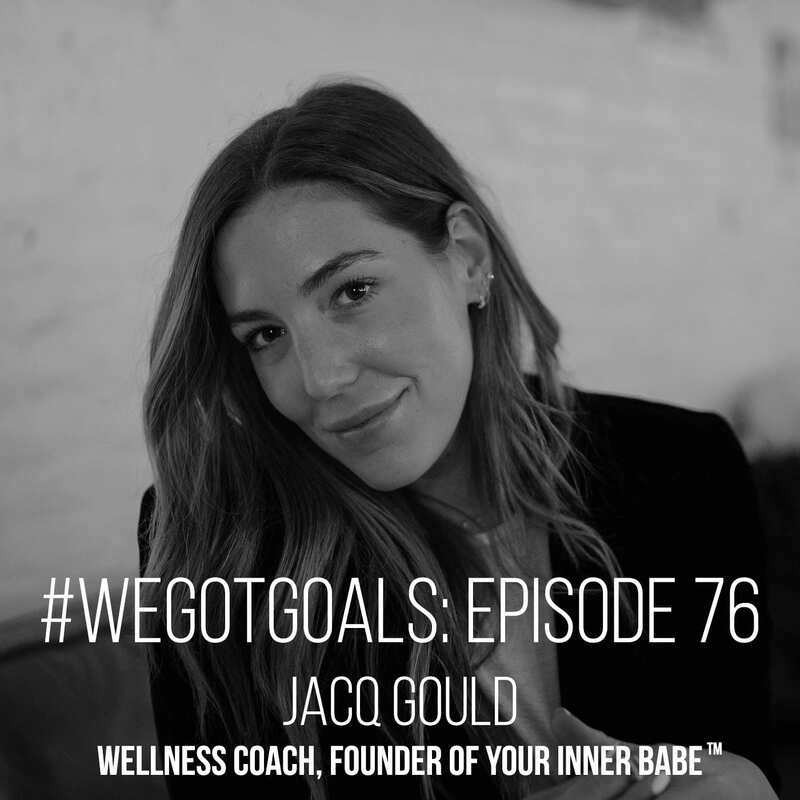 Listen to the whole episode to hear more powerful conversation from Jacq Gould, the inspiration for Your Inner Babe, and what you can do to tap into yours. And if you liked this episode, please subscribe to #WeGotGoals on Spotify, Apple Podcasts, or any other podcasting app, and while you’re at it, leave us a rating or a review. Special thanks to Ryan Deffet for editing this episode!